“Bargaining on Behalf of a Constituency”,2000, Journal of Economic Theory, 92:234-273. “Delay in Multilateral Bargaining under Complete Information”,2000, Journal of Economic Theory, 93:260-276. “Capital Budgeting and Compensation with Asymmetric Information and Moral Hazard”, with Antonio Bernardo and Jiang Luo, 2001, Journal of Financial Economics, 61:311-344. “A Theory of Joint Asset Ownership”, 2003, Rand Journal of Economics, 34:62-76. “Inefficient Markov Perfect Equilibria in Multilateral Bargaining”, 2003, Economic Theory, 22:583-606. “War or Peace”, 2003, Contributions to Economic Analysis & Policy, Vol. 2: No. 1, Article 2. http://www.bepress.com/bejeap/contributions/vol2/iss1/art2. “State Corroding Federalism”, with Daniel Treisman, 2004, Journal of Public Economics, 88:819-843. “Capital Budgeting in Multidivisional Firms: Information, Agency and Incentives”, with Antonio Bernardo and Jiang Luo, 2004,Review of Financial Studies, 17: 739-767. “Agency Problems and Commitment in Delegated Bargaining”, with Walter Cont, 2004, Journal of Economics and Management Strategy, 13:703-729. “Does Competition for Capital Discipline Governments: Decentralization, Globalization and Public Policy”, with Daniel Treisman, 2005, American Economic Review, 95:817-830. “Incentive Compatible Collusion, Competition and Innovation”, with Uday Rajan, 2005, Annals of Economics and Finance, 6:37-52. “Over-communication in Strategic Information Transmission Games”, with Joseph Tao-Yi Wang, 2006, Games and Economic Behavior, 56:7-36. “Did Decentralization Cause China’s Economic Miracle?” with Daniel Treisman, 2006, World Politics, 58:505-535. “Reserve Price Signaling”, with John Riley and Lixin Ye, 2007, Journal of Economic Theory, 135:253-268. “Costly Participation and Heterogeneous Preferences in Informational Committees”, 2009, Rand Journal of Economics, 40:173-189. “Political Decentralization and Policy Experimentation”, with Daniel Treisman, 2009, Quarterly Journal of Political Science, 4:1-24. “Motivating Entrepreneurial Activity in a Firm,” with Antonio Bernardo and Jiang Luo, 2009, Review of Financial Studies, 22:1089-1118. “Firm Reputation and Horizontal Integration”, with Ichiro Obara, 2009, Rand Journal of Economics, 40:341-364. “Competition and Corporate Tax Avoidance: Evidence from Chinese Industrial Firms”，with Qiao Liu, 2009, Economic Journal, 119:764-795. “Observational Learning: Evidence from a Natural Randomized Field Experiment,” with Yuyu Chen and Hanming Fang, 2009,American Economic Review, 99:864-882. “Incentives, Equality and Contract Renegotiations: Theory and Evidence in the Chinese Banking Industry”, with Hongbin Li and Li-An Zhou, 2010, Journal of Industrial Economics, 58:156-189. “Eat, Drink, Firms and Governments: An Investigation of Corruption from Entertainment Expenditures in Chinese Firms”, with Hanming Fang and Lixin Xu, 2011, Journal of Law and Economics, 54:55-78. Book Review of “China’s Great Transformation” eds. Loren Brandt and Thomas G.Rawski, Economics Development and Cultural Changes, October 2010, 59: 234-240. “Microinsurance, Trust and Economic Development: Evidence from a Randomized Field Experiment,” with Yuyu Chen, Hanming Fang and Li-An Zhou. Submitted. “Family Ties and Organizational Design: Evidence from Chinese Private Firms”, with Hongbin Li, Albert Park and Li-An Zhou, revise and resubmit, Review of Economics and Statistics. “China’s Land Market Auctions: Evidence of Corruption?” with Vernon Henderson and Qinghua Zhang. Submitted. “Why Do Large Firms Willingly Pay Higher Wages in Developing Countries?”, with Miaojun Wang and Se Yan. Submitted. “Do Multinationals’ R&D Activities Stimulate Indigenous Entrepreneurship? Evidence from China’s ‘Silicon Valley’”, with Yasuyuki Todo and Li-An Zhou. “More Trusting, Less to Trust: Evidence from Eachnet.com,” with Ginger Z. Jin and Li-An Zhou. “Local Credibility Test”, with John Riley and Lixin Ye. 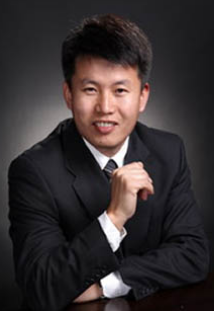 “A Theory of Organizational Dynamics: Internal Politics and Efficiency”, with Hong Feng.